Sometimes, when people are in desperate need of an organ transplant, it’s easy to see receiving the needed surgery as the end of the road. But often, there are more challenges to come. 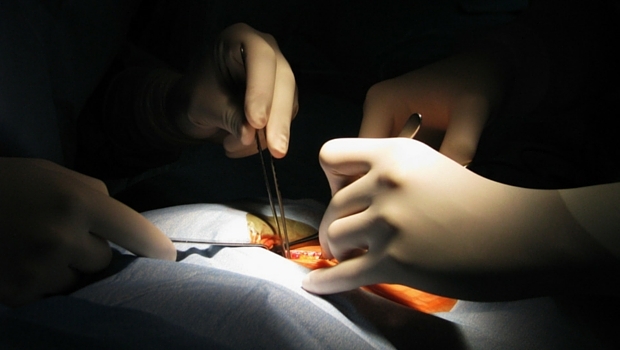 This can be the case when it comes to liver transplants. Although many patients undergo the surgery successfully and are able to go on to live healthy lives free of liver issues, others develop steatosis, or fatty liver disease. Although steatosis is a fairly common complication after transplantation, until recently, little was known about its actual prevalence or any of the risk factors contributing to its development. So researchers at the Institute for Clinical and Experimental Medicine in Prague decided to investigate. They published their findings in Liver Transplantation, a journal of the American Association for the Study of Liver Diseases. For this study, the researchers reviewed data and biopsies from 548 liver transplant recipients. In total, 309 patients (a little over half) developed steatosis. Seventeen percent of the patients developed significant steatosis. Within one year after transplant, 30.3% of the patients had developed fatty livers, with this percentage jumping to 47.6% by year 10. While these numbers are high, there are some significant risk factors that seem to increase the chances of developing fatty liver disease. The most common pre-transplant characteristics in the patients who developed steatosis were high body mass index and cirrhosis that was the result of alcohol intake. After the transplant, high BMI, high blood triglycerides, alcohol consumption, and type-2 diabetes were linked to steatosis as well. Although steatosis did not seem to affect patient survival outcomes within a few years after the surgery, the long-term effects were more detrimental. The lead researcher on the study, Dr. Irena Hejlova, concluded that keeping one’s weight in a healthy range was key to avoiding steatosis. Of course, alcohol consumption should be discouraged in transplant recipients as well. I agree that keeping your weight at an appropriate level is a great goal for anyone who wants a healthy liver, transplant recipient or not. In addition, it is important to avoid carbohydrates like the plague. This means absolutely no fruit, sugars, or grains until the liver is completely cleared. The worst of all the carbohydrates is high fructose corn syrup, a common additive in fast foods and processed foods. So especially watch out for this. Also, there are important supplements that everyone with fatty liver needs to take. One is fish oil. I’ve written about this before, so you can look in my archives if you want more information. But the bottom line is that the liver needs the special oils, EPA and DHA, in order to resolve fatty liver disorders. But for genetic reasons most people cannot use parent oils to make the critical EPA and DHA fats that are found in fish oil. And that’s why taking fish oil is so critical for this problem. I recommend Complete Daily Oils for this purpose. Advanced Liver Support also can help reverse or prevent fatty liver disease. It’s a powerful supplement that can help anyone who has or wants to avoid the disease. Your liver does more for you than you probably realize, so it’s vital that you give it all the nutrients it needs to perform optimally.